The older Wade-Giles was used under the Kuomintang of Chiang Kai-shek ('Peanut' to 'Vinegar' Joe Stilwell). Under Mao, the different method of Pinyin was introduced. The author goes on to tell us that he uses Pinyin, and tries to use simpler English when translating. For instance, 'erudite scholar' could also be translated as 'accomplished scholar'. The writer goes onto state that "traditional China is an illusion. There are great literary traditions in China, along with great artistic, philosophical, and spiritual traditions, but there has never been a traditional China". The book continues to say that another impediment to our understanding is the fact that most Western commentators are uninterested and unknowing about military matters. This is from the land of Sun Tzu! The author continues to explain that his purpose is "to give a detailed picture of medieval Chinese warfare: to provide background to the structure of Chinese military development; and to illustrate how influences passed across the Eurasian 'World Island'". The book starts around 300 AD with the incredibly convoluted history of North and South China during the next few hundred years. Imagine ten different countries like England going through the Wars of the Roses at the same time. Dynasties change so fast that your head wants to spin. These battles and campaigns for China include hundreds of thousands of troops. These dwarf the size of the armies in Europe until the 19th century. The author shows us that the horse lords of the Eastern Steppe were a constant problem to be dealt with. We normally think of the Mongols, and possibly the Manchus, as the extent of the issue. There was a reason the Great Wall was built and maintained over a millennia. I have a great hole in my knowledge of history, and it involves the history of the Eastern Asian landmass. This book has helped to fill this void. 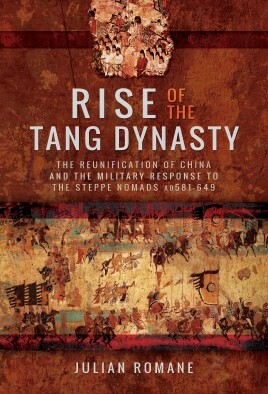 I can easily recommend it to anyone who has an interest, or wants to develop one, in the history of China.